to the Pelmulder Family Homepage! This site is for all that are researching their Pelmulder Family connections. Our knowledge of the customs and traditions of the Netherlands in the early years, comes from Albert Geurink, who is a native of the country, and has graciously supplied us with the greater portion of our research material. If you would like to submit material for this website, be sure to contact the Webmaster. You are invited to subscribe to our Pelmulder Family mailing list. Just send an email to the Webmaster and indicate your relation to the Pelmulder Family. This site is hosted by USGenNet, a nonprofit web-hosting service solely supported by tax-deductible donations. 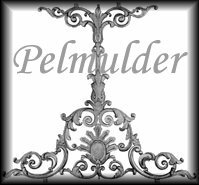 If this Pelmulder surname website has provided you with useful information, please consider making a donation to USGenNet to help keep sites like this online. This page was last updated Saturday, 16-Jun-2007 17:00:50 CDT.